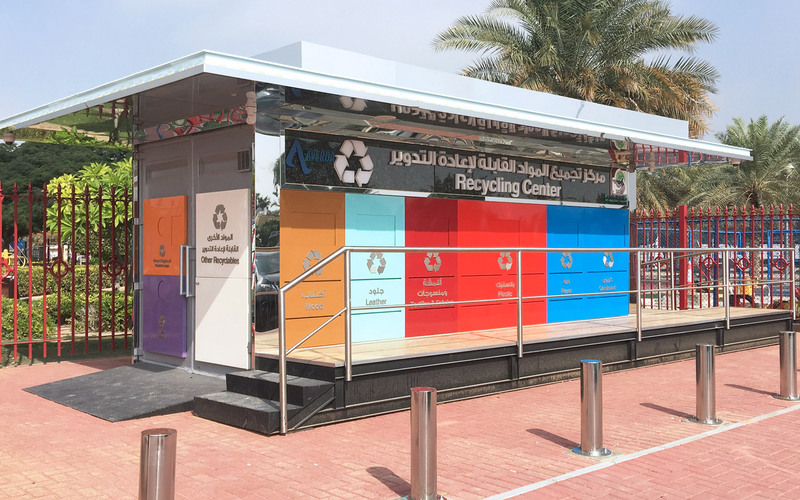 RECYCLING CENTRE A first of its kind multi commodity recycling centre made out of 20' recycled box. The whole unit is completely off grid & self sustainable using solar power system. Also the beautification of the external facade is done utilizing crushed soda cans and disposed broken glass waste from industries. 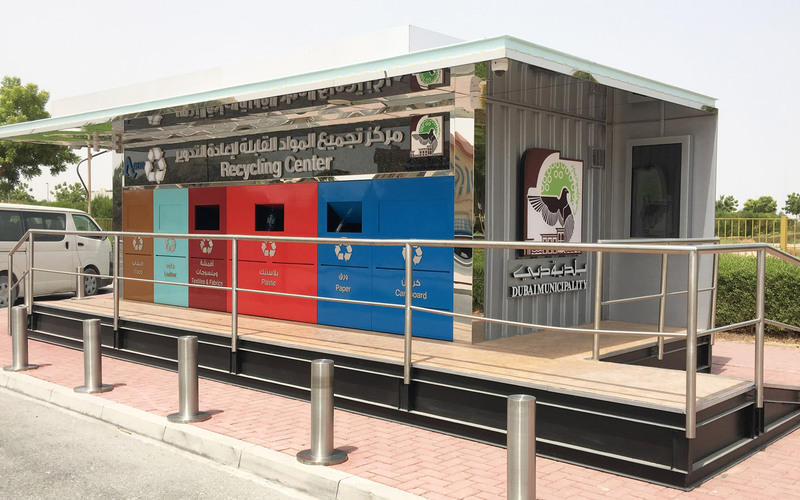 Several more of these Recycling Centre are expected around Dubai as part of the Vision 2020 Plan.